Welcome to the Tooth Place of Severna Park, Maryland. It is the mission of our Family and Cosmetic Dental practice to provide highly specialized, outstanding comprehensive dental care for all of our patients, in a clean, safe and friendly environment. Drs. Russell, Deasey, Wright and Zitofsky recognize the value of and are guided by their commitment to excellence in serving their patients dental needs and improving overall health within the community. Since 1978, our practice in Severna Park has established a work environment where each patient is cared for and respected. We work as a team allowing us to maintain quality dentistry and a tradition of caring. 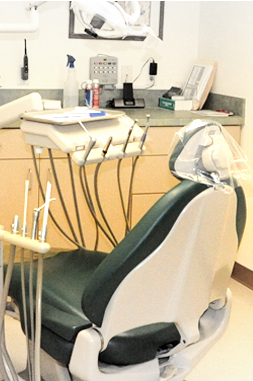 As a private doctor-owned group practice, we are able to preserve the highest standard of dentistry in our community. Experience and trust have defined us over the years and will continue to do so in the future. Our practice is proud to say we have been named in What’s Up Annapolis – best dentists, Capital Newspapers Best Dentists and Chesapeake Family best dentists. We are also proud members of the ADA, MSDA and AGD dental associations dedicated to the highest standards in dentistry today.